It was just a few days ago that we reported on the latest installment of the Elon Musk and Azealia Banks feud, which now appears to be escalating. Banks' fire for Musk was recently stoked by a motion filed by the Tesla CEO's lawyers to prevent Banks, Musk's ex-girlfriend Grimes, and several media organizations from being subpoenaed as part of a shareholder lawsuit against Musk. Now, it looks like we are one step closer to getting a chance at seeing what was on the mind (and on the devices) of Banks, Grimes and some of the reporters who were involved with them directly after the CEO put out his now infamous "funding secured" tweet. Banks was a guest in Musk's home around the time Musk sent out the Tweet, reportedly invited by Musk's then girlfriend, Grimes. According to Bloomberg, U.S. District Judge Edward Chen in San Francisco ordered on Tuesday that although Tesla and Musk themselves cannot be subpoenaed, Banks, Grimes and reporters involved with the situation immediately after it happened could be subpoenaed and asked to preserve records. Chen said "that asking for potentially relevant evidence to not be destroyed won’t impose any burdens on Tesla or Musk". Business Insider also reported on Wednesday that a motion to serve subpoenas against Banks, Grimes, Business Insider, Gizmodo and the New York Times was granted. Adam Apton, attorney for the Plaintiffs stated: "Ms. Boucher and Ms. Banks were in close contact with Mr. Musk before and after the tweet and are believed to be in possession of relevant evidence concerning Mr. Musk's motives. Business Insider also appears to have relevant evidence in light of its relationship with Ms. Banks." Shareholder attorneys are trying to place Banks in Musk's house during the fallout from Musk's famous tweet. Banks had previously posted in depth about her time staying at Elon‘s home, claiming that while there, Grimes was comforting Musk about “being too stupid not to go on Twitter while on acid”. Banks claims she saw Musk "scrounging for investors" at the time of the incident. Curiously, the judge also said that "lead plaintiff’s claim that defendants have a practice of trying to silence critics is not well supported”. Perhaps he hasn't heard of Montana Skeptic - or Martin Tripp. 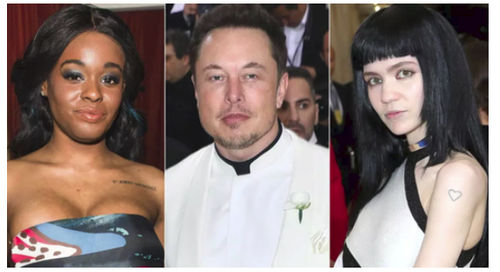 Arguably, the possible results of any forthcoming subpoenas – as they sometimes do in lawsuits – may open up a new can of worms if any (or all) of the dirt Azealia Banks claims to have on Elon Musk turns out to not be fabricated. Banks took to Instagram on last week writing "They are still slighting [sic] me like I don’t have plenty more dirt to spill on Elon. This is going to get extremely ugly...Elon will learn very soon who is more powerful of us two." The preservation of such material, from immediately after Musk put out his "funding secured" tweet may finally help answer the question of what was going on in Elon Musk’s head at the time of the incident. We can't wait to see where this goes.